need.It has FREE WIFI IN THE UNIT and the building has INTERNET available in the lobby on a pay as you go basis. There are LAUNDRY FACILITIES available and the condo has a water FILTRATION SYSTEM servicing the cold tap for the ice maker as well as the cold water taps in the Kitchen and Bath Room Sink which is safe to drink & brush your teeth with. best eats and shopping that Puerto Vallarta has to offer!!! Banderous Bay on Los Meurtos Beach which reflects the Mexico of Old. their noise then you will love my "Little Piece of Mexico". FILTRATION SYSTEM servicing the cold tap to the Bath Room Sink which is safe to drink & brush your teeth with. All bedding linen is provided. If you will be using the futon located in the living room you will need to arrange to have it made up prior to your arrival. 2 locked units for your laundry needs are located in the pool area. Reserve at the front desk on a pay as you go basis. Bring your own detergent. Ironing board/Iron available in the laundry area. 2 locked units for your laundry needs are located on the roof top. Reserve at the front desk on a pay as you go basis. Bring your own detergent & dryer sheets. Ironing board/ Iron available. Parking can be arranged in the lower level of the building. There is a fee for parking and available if there are open parking spots. Under ground and available on a fee to use basis if there are available parking spots. Free WiFi in my unit. Bath sets are provided along with small bar soap and toilet paper. No need to pack beach towels! Below the bathroom vanity you will find various beach towels. The living room can seat up to 6. There is a CD player/stereo system, & a BLU-Ray DVD player. There is Luggage storage located lower Right cabinet of the Entertainment Center. FILTRATION SYSTEM servicing the cold tap for the ice maker. Safe to add to your water bottles and drinks. Freezer on the bottom with French doors. Mr. Coffee coffee pot. Filters should be there. Must supply own coffee. FILTRATION SYSTEM servicing the cold water drinking tap in the Kitchen/Bath Sink/which is safe to drink. Available on both TV's free of charge with some English speaking stations. DVD Player in both the Bed Room and Living Area. Bring your favorite DVD's for some cool down after you have been enjoying the beach all day long. Lending library is located up in the roof top pool area. Borrow a book replace a book. Books are also located in the lower center cabinet of the entertainment center in my unit. 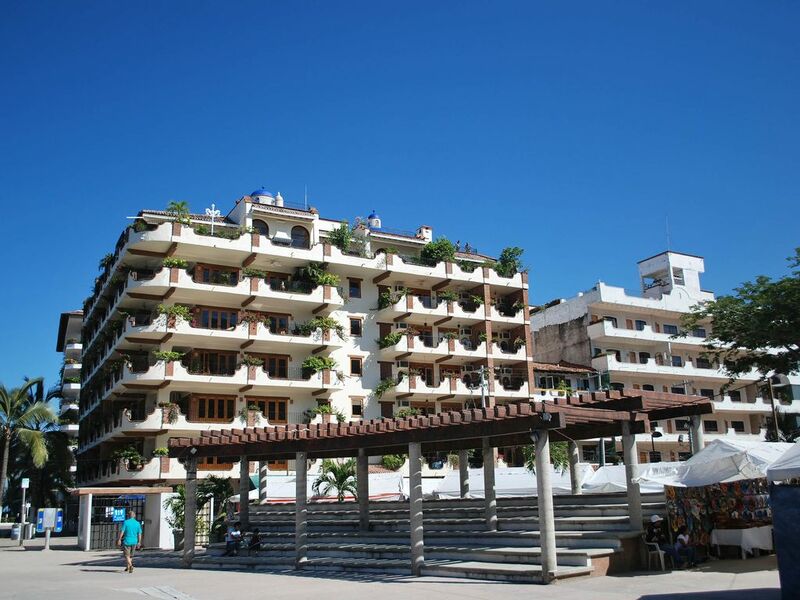 The balcony faces the ocean & views of the Malecon. It is decorated with a painted garden scene & tropical birds. There is a small plastic patio set so you can enjoy your coffee or the sunset.